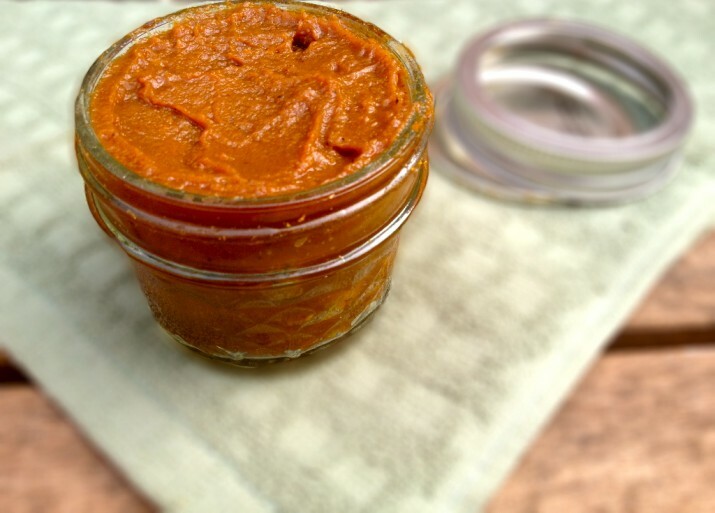 Pumpkin butter’s festive taste and intoxicating aroma make it a fall classic. It can be smeared on toast or muffins, eaten out of the jar with a spoon, or used as an oatmeal or yogurt topping! Plus, it’s fun and easy to prepare. I used a pumpkin butter recipe comes from a great cookbook, Vegan Desserts: Sumptuous Sweets for Every Season, by Hannah Kiminsky. The mixture takes on a darker hue and delicious smells begin to waft through your house. Tom (aka the fiancé) knows that when I approach with a mystery sample, the agreement is taste first, question second. With the pumpkin butter, he pronounced, “It tastes like fall.” I couldn’t have put it better myself. In fact, I’m hoping to make a big batch in a few months for holiday gifts! Place pumpkin and maple syrup in saucepan over medium heat. Stir until mixture thickens -- approximately 15 minutes. Make sure to stir continuously to avoid burning. Once thickened, turn off heat and stir in spices.